We are delighted to announce that Dorothy Francis, Chief Executive of CASE - the Co-operative and Social Enterprise Agency - received a Queen’s Award for Enterprise Promotion on Thursday 21st April on the Queen’s 90th birthday. 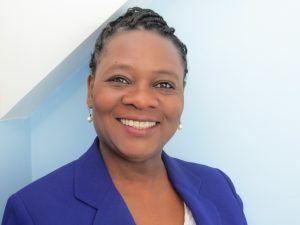 She is one of eight people in the UK to receive the Enterprise Promotion award and is the only person to granted the accolade of a Lifetime Achievement Award. The Award is made to people who have played an outstanding role in promoting enterprise skills and attitudes by giving time, effort and advice. Dorothy earns the Lifetime Achievement Award for Enterprise Promotion for over 30 years of supporting co-operatively run businesses to establish and grow, primarily through her service at CASE where she has been the Chief Executive since 2000 having started work with the agency in the mid-1980s. CASE specialises in delivering advice, training and business growth for co-operatives and social enterprises in Leicestershire and the East Midlands. Dorothy has directly supported over 200 enterprises to start and develop and has worked with many more to realise and grow their potential. A number of these businesses have now traded for 25 years and more and have grown to provide numerous local jobs and win national and local awards. Dorothy has worked with too many businesses to list; however of special note are Soft Touch Arts, which was the first business that she registered 30 years ago, and Leicester Wholefoods Co-operative which was the second, and she is delighted that they have both gone from strength to strength! She took part in Just Fair Trade’s recent 20th birthday celebration at Leicester Cathedral having registered the business at the start of its journey and has been pleased to play a key part in the development of many other local co-operative and social enterprises including CKI Martial Arts, Eagle Care Alternatives, Somali Development Agency, Just Services, Complete Wasters, Corner Plot, Just Wood Leicestershire, Sunflower Nursery and Nifty Thinking amongst many others. The Award will be conferred on 21st April and Dorothy will travel to a reception at Buckingham Palace in mid- July to meet other Awards winners. The Award itself will be presented in Leicester by Lady Gretton, the Leicestershire Lord-Lieutenant, at a date to be confirmed. The Award takes the form of an engraved crystal chalice and a ceremonial Grant of Appointment, which bears a copy of HM The Queen's and the Prime Minister's signatures.